Are you looking for a free method to allow students to easily communicate with you during virtual office hours? 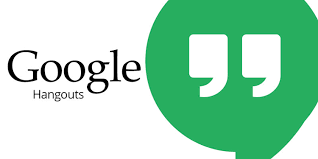 Google Hangouts is a tool which allows students to connect to you through messaging, voice or video during scheduled office hours. Google Hangouts provides the instructor the option to allow one-on-one or group chatting. In addition, Google Hangouts is already built into Gmail, Google+, and mobile apps are available for iOS and Android devices. The students choose which method to communicate with you during your virtual office hours. Cathy and I have both used Google Hangouts as a virtual office hour communication option. This allows us to be available to our students during a specified time each week from anywhere. Typically, we can work on other items until a student connects to us in Google Hangouts. This flexibility enables us to remain productive during our office hours.